VOTE FOR YOUR FAVORITE GARNISH! 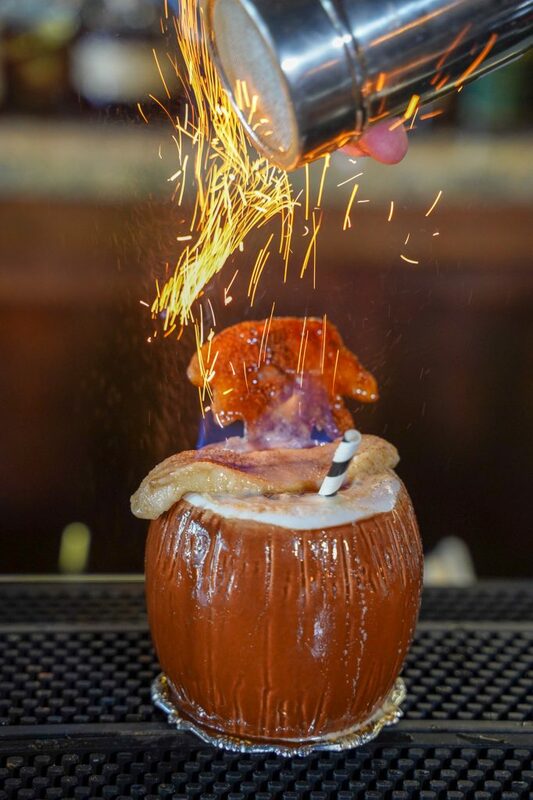 During the month of February, a group of the finest bartenders in the city will compete against each other to see who can create the most visually stunning cocktail garnish. They did not disappoint! Take a tour of the coolest cocktail garnishes you have ever seen, watch the videos, read the bios, and remember to VOTE! The top 7 move on to the live finale! Join us at Pony Up Denver on March 11 at 6:00 pm to sample the 7 finalist’s cocktails and help us select the champion of the annual Garnish Games! Free Admission & Drink Samples! Dining Out Magazine & Diageo Reserve began to notice an increase in excitement around cocktail garnishing throughout Denver. On social media, bartenders were (and still are) posting photos & videos of themselves using scissors, fire, flowers, smoke and more behind the bar. In an effort to build off this enthusiasm and creativity, Garnish Games was born. Our hope is that Garnish Games creates and builds a sense of community. We want bartenders to suggest the other participating bars to their guests, and on top of that, we want the front-of-house working with the back-of-house to efficiently craft their garnishes.